The Longacre Center at Christopher Dock Mennonite High School is a multi-purpose facility that accommodates the school's athletic and educational programs. 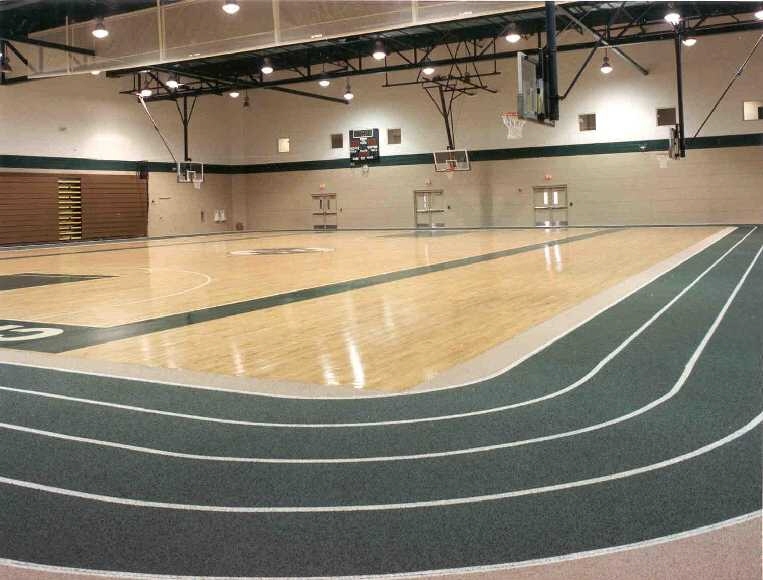 The facility includes a main basketball court, two cross courts, a synthetic floor running track, fitness center, and locker rooms. In addition to the sports area, the center also includes a 200-seat theater, and dressing room areas. The theater space was designed for multiple uses, including; drama, lectures, chorale rehearsal, communication classes and as a setting for chapel services. The design combines low background noise, a sound absorbing seat, high rake and low ceilings.